Price is firm. 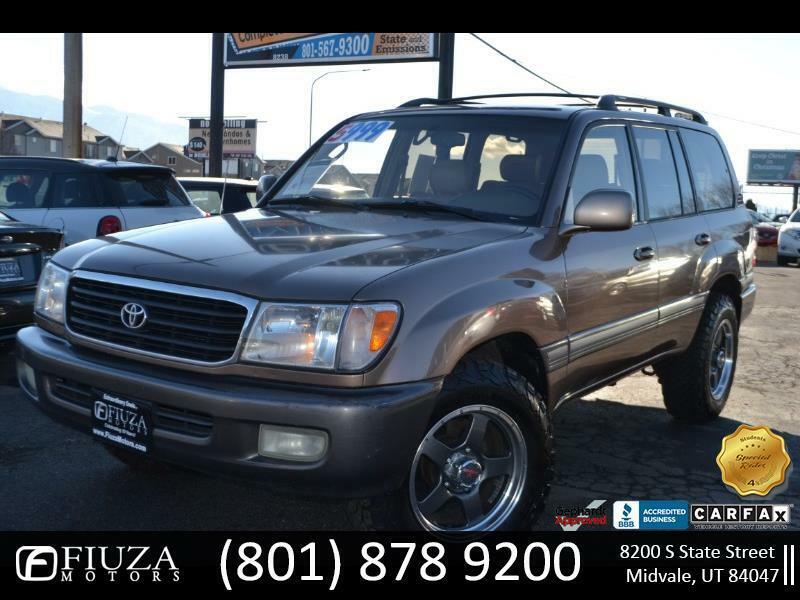 2000 TOYOTA LAND CRUISER 4WD 4.7L V8 SOHC 16V ***CLEAN TITLE GUARANTEED *** 45 SERVICE RECORDS AVAILABLE *** LEATHER SEATS *** HEATED SEATS *** SUN ROOF *** YOU MUST SEE THIS VEHICLE!!! POWER LOCKS, POWER WINDOWS, CRUISE CONTROL, ALARM SYSTEM, AIR CONDITIONING, DIGITAL DISPLAY, 8 CYLINDER ENGINE, REALLY NICE AND CLEAN INSIDE AND OUT!!! RUNS LIKE NEW, DON'T JUDGE A CAR BY THE MILES !!! PLEASE TEXT US AT 801-878-9200 FOR MORE INFORMATION! Message: Thought you might be interested in this 2000 Toyota Land Cruiser.